Back in the days before the Internet and great cameras, fashion illustrators were essential for showing a designer’s creations. 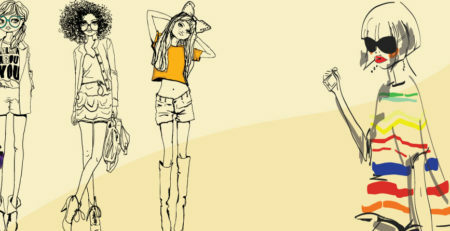 Today, you find fewer true fashion illustrators who make their living through drawing fashion. But the art of fashion drawing itself will never die, no matter how advanced technology gets. Illustrating is and always will be important because it gets the idea out of your head and makes it real on paper. That’s why illustration is an important skill for a designer to have. Can you imagine how hard it would be to just use words to describe a design and expect someone to be able to make it? Drawing transcends language and is the perfect visual representation of your design. To see why drawing will never go out of style, look at a designer’s process notebooks and watch an idea grow from a rough sketch to a finished product. Doodling on a computer does not allow you to work through a sketch like a series of hand drawings does — at least not yet! Making a career out of drawing today in any field is tricky, not just in fashion illustration drawing. 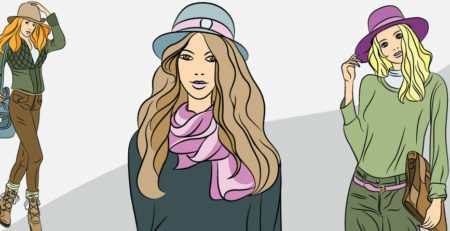 A lot of art has gone digital, and some fashion illustrations are done solely on the computer using a mouse or drafting tablet. But don’t throw away your drawing paper just yet — even artists who work on computers need the ability to draw. The truth is that the need for hand design will never disappear completely. Magazines may no longer need fashion illustrations of the latest trends because the camera captures it all, but readers still like to see drawings and organic art. Fashion Illustrations can exaggerate and introduce elements of fantasy in ways that are difficult or impossible for cameras. 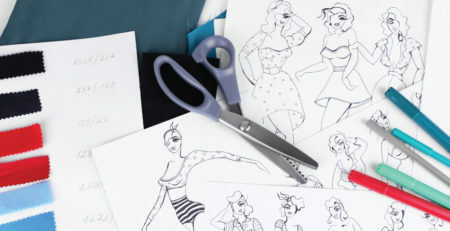 Can you make a living in fashion illustration? Perhaps. A lot of fashion illustration overlaps with fashion design. 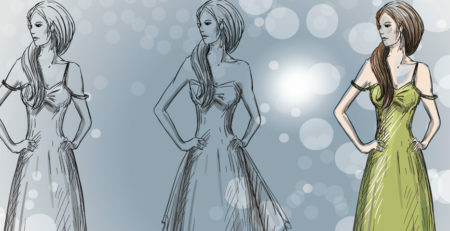 Most people who want to draw fashion also want to design their model’s clothes. Most of the time, when you show your skills in illustrating, you’re also showing your designing skills. – Work for a designer who has great ideas but has trouble transferring them to paper! – Teaching others to draw is a thriving career choice. You have to complete some schooling to teach others, but inspiring new artists to develop their talent is a great way to spend your professional life. – Be open to illustrating jobs that are not directly related to fashion. Children’s books especially depend on illustrators to capture the story and bring it to life, and the human characters in the story have to wear clothes! Try your hand at drawing some cute kids and let them play dress-up. – Check out a career creating line sheets, which are drawings of garments that the manufacturer plans on producing. Merchandising garments and designs are cheaper when the garment simply has to be illustrated, not made. Line sheets help buyers see products so they know whether they want to order them.